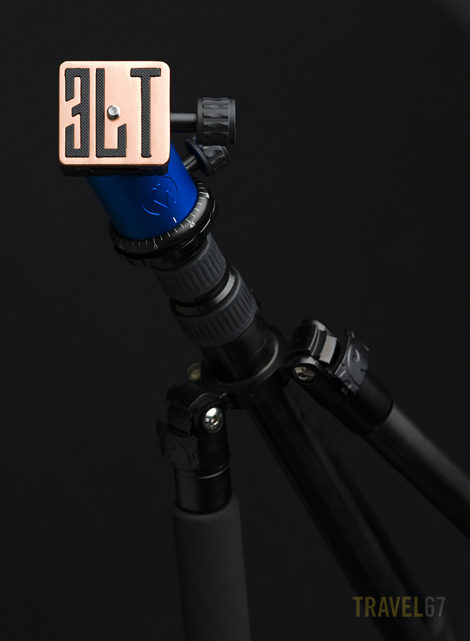 3 Legged Thing is a young British company making camera tripods. After being on the waiting list for several months, a friend just received one of the tripods so I thought I’d check it out and offer up some comments. The tripod is really well made, and similar in many ways to my Gitzo. They have carbon or alloy legs and twist locks at the end of each segment. The design of the legs allows the tripod to be placed very low to the ground, a real bonus for people who shoot a lot of macro. The motion of the ballhead is smooth and it comes in a range of anodized finishes. The quick release camera mount is available as a stylish Black Rapid compatible plate or a more traditional Arca Swiss style plate. Each tripod also comes with it’s own bag to protect your investment. All in all, a great piece of kit. Although I’m impressed, I already have a great tripod that will continue working fine for several more decades. A quality tripod is one photographic product which is a good longterm investment. The technology won’t become obsolete in a few months or years, it has few moving parts to wear or break, and it’s really useful if you actually take it with you rather than leaving it in the car or the cupboard. Get a tripod, and give your life some stability.